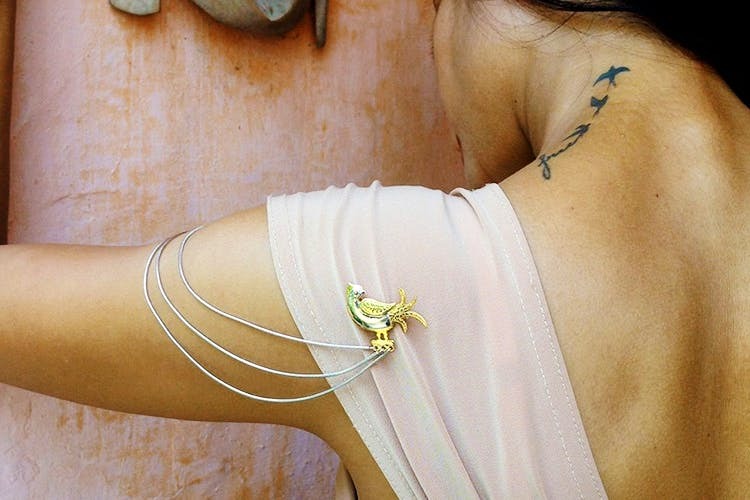 A niche jewelry brand, Just Prerna, is creating ripples in the silver design market. Her exquisitely hand crafted silver jewelry in matte finish looks uber gorgeous. Her jewellery is usually in raw, muted tones of silver which are charmingly understated. We love her earring collection, which stands out. Working through symbolism, each piece of jewellery stands for something. Like most of her pieces depict birds, which for her are a symbol of freedom. Apart from the earrings, try some neck pieces too, to give you that complete ethnic yet classy look. The pendants are pretty too. Prerna has flawlessly charmed us with some of the finest jewellery we have seen in our time.